With Vitebsk station in Saint Petersburg are long-distance trains on the Smolensk and the other Western Russian city. International trains travel to Belarus, Ukraine, Germany, Poland, Hungary, Moldova, Lithuania. You can also leave the train to Pavlovsk, Oredezh, the Village of Novolisino. 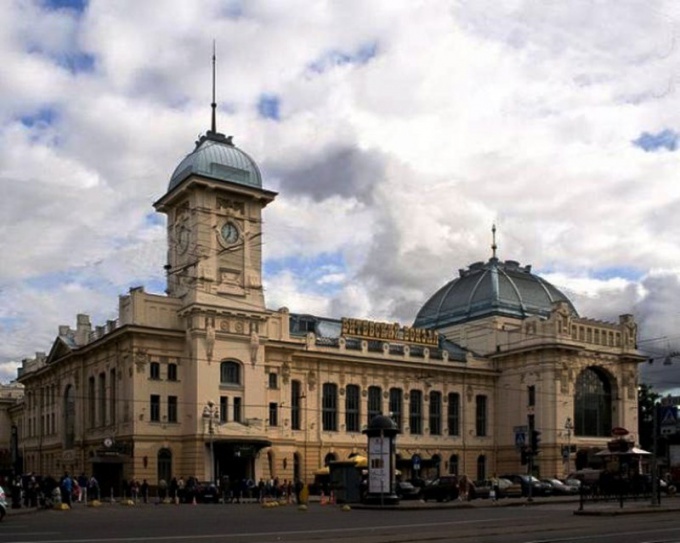 Vitebsky railway station is one of the Central districts of Saint Petersburg, so you can reach it in different ways. - map of Saint Petersburg. Near Vitebsk station, the lobby of the metro station "Pushkinskaya". This transfer station from the first to the fifth line, so that you can drive to or Pushkinskaya (red line) or Pushkinskaya (purple line). In the second case it may be easier to climb to the "Pushkinskaya", the lobby which is next to the station. If you are coming from the Pulkovo airport you can get to the Vitebsk station in several ways. The most popular is to drive to the subway station "Moskovskaya" (this station is on the blue line) on it to get to the "Technological Institute" and to make a connection. "Pushkin" - the next stop. "Tehnolozhke" you don't have to wander the tunnels, just to go from one edge of the platform to another. You can also drive to the station "Sennaya Ploschad", go to "Garden" and go one stop to "Zvenigorodskaya". Another way to get from the airport to get on a bus, going in Kupchino, where there is not only the metro station with the same name, but the railway platform. Hop on the train, passing a few stops – and you have goals. Trains run frequently but this method is less convenient than on the metro. With other stations to Vitebsk is also better to travel by metro. Moscow, the Baltic and Finland are located near metro stations "Ploschad Vosstaniya", "Baltic" and "Lenin Square", which is "Pushkin", located on the red line, so a transplant to do not required. Located near Ladoga station "Ladozhskaya" you need to get to "Dostoevskaya", go to "Vladimir" and go one stop. Less convenient option – go to "Savior". You should go with blue lines to purple, i.e. to the station "Sadovaya". Next stop on the fifth line you will need "Zvenigorodskaya". With regard to urban transport, then you want buses, trolleybuses or trams running on Zagorodny Prospekt. The buses №№7, 24, 26, 65, 76, 91, 141, trolley №№ 3, 8, 15, 17, trams 14 and 16. In addition, the station fits multiple route taxi №№№ K15, K25, К90, К124, К177, К258, К338. To reach the hotel by car, although this is not the most convenient way because of the almost permanent traffic jams. In any case, whether you go through the Central or Admiralty districts, you need to go to the even side of Suburban Avenue. Address Vitebsk station – Country, 52. After closing metro to Vitebsky railway station can be reached by overnight bus №M1. But in the summer when the bridges are drawn, it is only on the right Bank of the Neva.